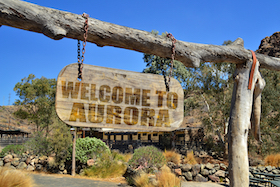 Aurora is a very large suburb east of Denver with a population of 325,078. It is the third largest city in Colorado. Residents here enjoy proximity to Denver's cultural scene and access to outdoor recreation venues. Anyone who enjoys outdoors sports, particularly snow sports, would enjoy retiring in Aurora. There are a large number of new housing developments, particularly in the southeastern area of town and surrounding suburbs such as Centennial. Many are active adult, while others are open to people of all ages. See active communities link at right. Zillow reports the median home value to be $317,500 in mid-2018. Aurora's convenient proximity to Denver is one of its major draws. The availability of affordable housing is its other best feature as well as its proximity to Denver International Airport. As a bedroom community for Denver, Aurora is not exactly a world-class dining or tourist attraction. Comprised mainly of unattractive strip malls, unchecked suburban sprawl, and drab, uninspired civic architecture, it is a repository for all things mediocre and unappealing that you would expect to find in such a setting. Aurora sits on the eastern plain at an altitude slightly higher than Denver. As such, it is prone to violent summer thunderstorms, winter blizzards, and the occasional funnel cloud, weather phenomena that are more common farther east in Kansas and Nebraska. Winter temperatures rarely drop below zero degrees. Summer temperatures can be very hot with stretches of 90+ or 100+ degrees, but the excessive heat is usually mitigated by afternoon clouds and thunderstorms. Winds can be fierce and strong, especially during the spring snow season, creating blizzard-like conditions, but this is not a frequent occurrence. Dominated by fast food and national restaurant chains. Crime is well above the national average. 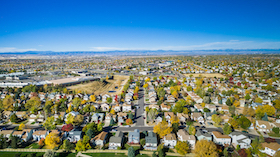 Besides its proximity to excellent medical facilities in Denver, Aurora is home to Aurora South Medical Center, and the newly-constructed Philip Anschutz Medical Complex with University Hospital and Children's Hospital in the north part of town. Aurora is just minutes away from Denver International Airport and straddles Interstates 70 and 225. Aurora is below average in walkability when compared to other towns.